Arya is taking adoption applications but she is not yet ready for her new family! First she has to recover from her difficult staph infection that almost cost her a foot!! Arya has had it rough, but you'd never know when you meet her, as she's the sweetest, most affectionate, funniest girl around. She LOVES playing with her foster sister & brother, a fenced in yard is a must for this girl! Arya has some hip issues but that doesn't let that stop her from horsing around, she LOVES kids but can be a little clumsy, so older kids would be better. She has great manners & walks well on her leash. Arya is 2 & a half & she still has a lot of puppy in her, an active lifestyle would be perfect for her. Arya will most definitely steal your heart if you ever meet her! She loves to give kisses & put her head in your lap. She snuggles & loves belly rubs!! She loves squeaky toys & nyla bones! Arya would best be suited in a cat free home, preferably with male dogs or a very submissive female. She loves attention from her humans & spoiled rotten would be preferred. This girl will keep you laughing. 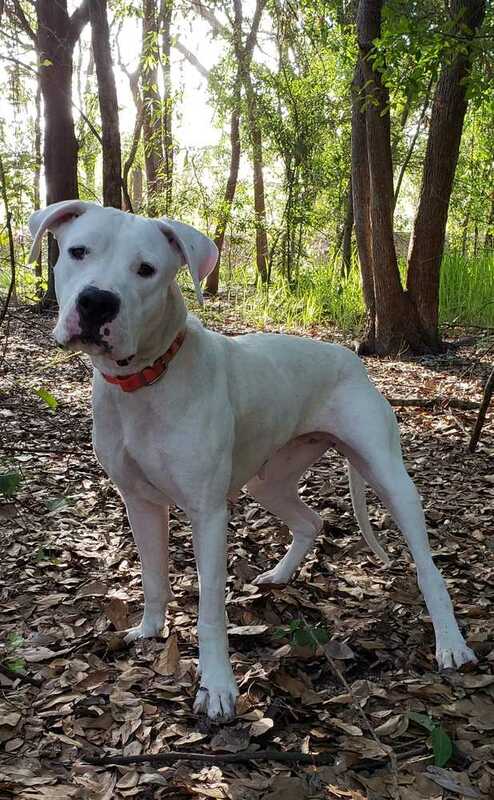 She even has her own Instagram account - onlyarya_thedogoargentino - check out her antics! !